In the winter of 1870 in a camp decimated by smallpox, Rose Wilson, a young Secwepemc woman lies with her infant daughter, Olivia. They are the only ones left alive. Death calls for Rose and then Olivia’s fate will also be sealed. Rose begs two strangers passing by on the road to take her daughter, to save her life. The very next day Rider Valcourt, Olivia’s father, finds Rose and rescues her. He takes her to the family ranch near Lillooet where she recovers. 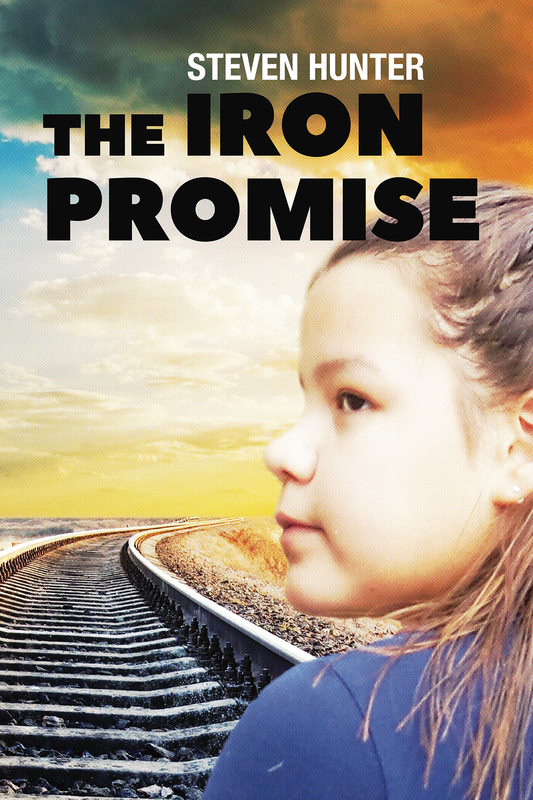 “The Iron Promise” is about the promise of a man and a woman to each other to search the country until they find their daughter Olivia. The story unfolds throughout the decade of the 1870’s, during the early years of Canadian confederation, the promise of a railway and the Red River Metis resistance. Against the backdrop of this history two tales are told, one from the perspective of parents who have lost their child and the other from the experience of a child who has lost her identity, her family, and her culture. The story opens in the Cariboo region of the BC Interior and winds its way rising and falling across the young country from coast to coast. This is a story of love and longing, and of commitment and never giving up hope. 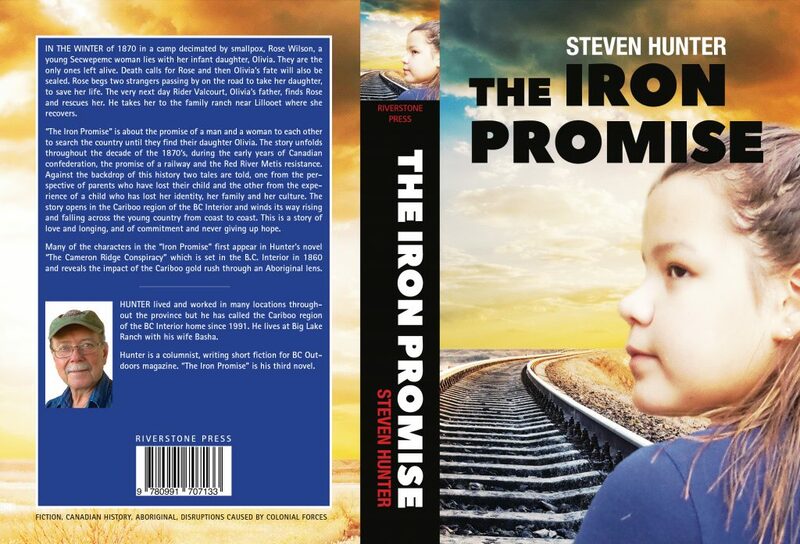 Many of the characters in the “Iron Promise” first appear in Hunter’s novel “The Cameron Ridge Conspiracy” which is set in the B.C. Interior in 1860 and reveals the impact of the Cariboo gold rush through an Aboriginal lens. It is a 6×9 book and it typeset in Plantin with Rotis as a display.